The crew at Remix Magazine got a chance to (literally) remix a Disney Chicken Little toy; they’ve posted the process and results. 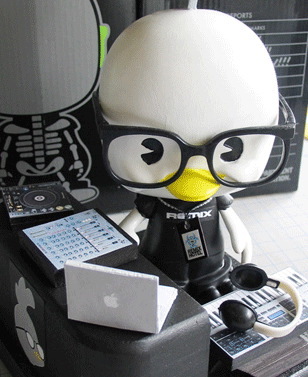 So what gear does DJ Chicken Little use? Hmm, absurdly cute, gets all the “young hens,” and has a dream rig — I have to say I’m a bit jealous. This is about the most fun toy I’ve seen since the Moog action figure. So, Keyboard Magazine, do we have a response toy?